We've all experienced those moments, brief flashes of time that we know would have changed our lives. We call it different things, chance, luck, providence, fate, karma, destiny. We often come to believe, perhaps to reconcile our place in the world, it was meant to be, that some force was guiding the result. It was going to be that way, anyway, right? Hesitating before stepping off a curb before a speeding bus, taking the path that led to the clearing and not the cliff, calling heads when you know you should have been calling tails. "Any time I had ever called anything myself with a coin, I always called tails," Rod Thorn was musing the other day. "That was the ironic part of it." Thorn, the longtime NBA and New Jersey Nets executive who was an elite collegiate star before an eight-year NBA playing career, will be enshrined in the Naismith Basketball Hall of Fame Friday in an illustrious class that includes Jason Kidd, Steve Nash, Ray Allen, Charlie Scott, Lefty Driesell and Maurice Cheeks. Thorn's seven-year tenure as Bulls general manager would barely be an asterisk on his impressive resume if not for in his final season with the Bulls drafting Michael Jordan. But if not for the way a coin landed, Thorn would likely be entering the Hall of Fame, if not long before this, as probably the most accomplished general manager in Bulls and perhaps NBA history. 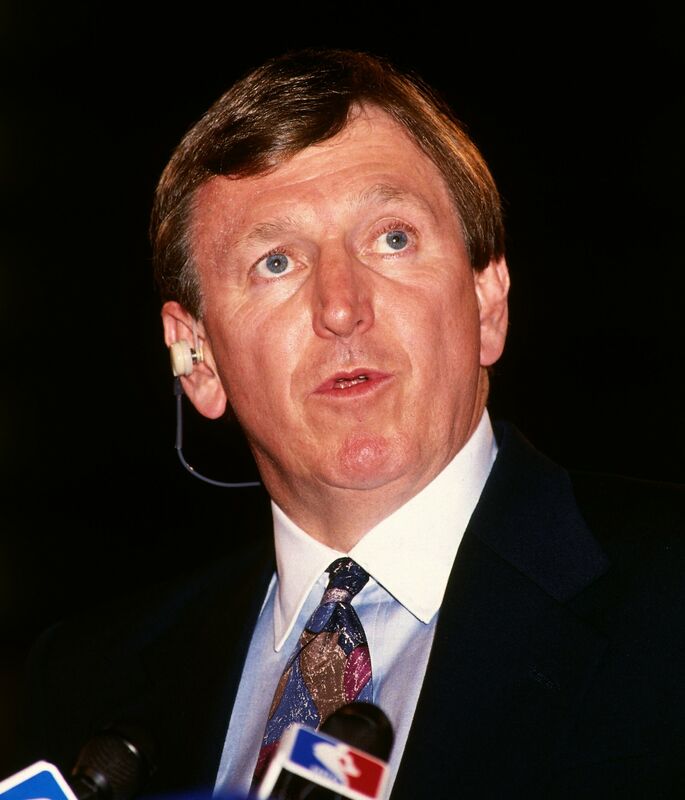 While likely having done so for the world's wealthiest ownership group with names like Wirtz, Steinbrenner, Crown, Klutznick and Hunt and in the midst of likely the greatest individual conference rivalry ever featuring the Boston Celtics' Larry Bird and the Bulls' Magic Johnson. "If the Bulls had Magic, Reggie and Artis and with Jerry Sloan becoming coach that season, they would have been very good. That would have been a tough team to match up with." "Yes, we would have been a high level contender," says Thorn. "The Bird and Magic rivalry would have been intense with more regular season games. Ownership definitely would have kept the team, definitely. There's a distinct possibility Rod Thorn would have been a more celebrated general manager. "Yes, there are instances when you think of things you do and why you did them; that one was not in my control," Thorn acknowledged. "But it changed a lot of peoples' lives; no doubt about it." It's the simple story of the coin flip for the first pick in the 1979 draft, a footnote in Bulls history that could have been NBA headlines for years. The Reinsdorf group likely never would have gotten a chance to purchase the Bulls, the Los Angeles Lakers, like they were in the 1960s and 1970s, would have been more contender than dynasty, Jerry Krause would have monitored baseballs for 20 more years and Michael Jordan probably would been a Dallas Maverick or Philadelphia 76er. And probably still pretty darned good. "Life is full of ironies and so if we had won the coin flip and gotten Magic, we never would have gotten Michael. So the Bulls had to delay being good for a few years," said Thorn. "Obviously, it worked out great for both teams." Could it have worked out better for the Bulls? The Bulls of the late 1970s were an underrated team with a Hall of Fame center and future All-Star shooting guard. Led by Artis Gilmore, they barely lost in the 1977 playoffs to the eventual champion Portland Trailblazers. Bill Walton and coach Jack Ramsey called the Bulls their toughest opponent in those playoffs. But with injuries and a coaching change in the 1978-79 season, the Bulls collapsed to a 31-51 record and last in the Eastern Conference. In that era, there was a coin flip for the No. 1 draft selection between the teams with the poorest record in each conference. In the Western Conference, it was the New Orleans Jazz. But from a prior transaction, the signing of free agent Gail Goodrich, the Lakers held the Jazz pick. It wasn't a great Lakers team at the time. Kareem Abdul-Jabbar had forced his way out of Milwaukee to the Lakers, but the trade stripped the Lakers of their depth. They averaged fewer than 50 wins in Abdul-Jabbar's first three seasons and he seemed to be tiring of the load and expectations, even hinting at retirement. The Lakers were third in their division and fifth in the conference, nowhere close to title contention. They had Abdul-Jabbar and future Hall of Famer Jamaal Wilkes, but a mish mash of older veterans like Adrian Dantley and Lou Hudson. Norm Nixon was their point guard. The Bulls roster led by Gilmore and Theus arguably was close in talent, almost comparable. Johnson was the missing piece for the Bulls as well. And he did want to play in Chicago. In subsequent years, Johnson has been quoted, including in one of his several autobiographies, saying he would have returned to Michigan State if the Bulls won the coin flip, that he wanted to play for the Lakers. But that seems more about loyalty to his longtime employer. Thorn and longtime Bulls executive Irwin Mandel said they always were confident Johnson would play for the Bulls. "Magic had said he wanted to go into the pros, that there was nothing more he could do in college as he already won a national championship; I did not remember the Bulls being worried," recalled Mandel, now retired. Johnson's Chicago attorney at the time, George Andrews, said Magic actually seemed to prefer the Bulls. "He thought at the time Artis was comparable to Kareem," said Andrews. "He thought he could win with Artis. Magic was very positive about Chicago because it was close to home as a Lansing, Michigan guy. It would have been an interesting situation. Reggie would have played fine with him. Artis, those were his prime years, and Reggie became an All-Star. If the Bulls had Magic, Reggie and Artis and with Jerry Sloan becoming coach that season, they would have been very good. That would have been a tough team to match up with." The kingdom for a magical point guard? "I'm very humbled, very proud (to be going into the Hall of Fame)." "We needed a point guard," agreed Thorn. "That's what Magic obviously did, one of the best ever in setting other people up. I think it might have taken us a few years as Magic wasn't a very good shooter when he came in. But we would have been very good within a couple of years." Of course, the Lakers didn't have much shooting, either, in 1979-80 and then won the championship even with Abdul-Jabbar sitting out the clinching game. "The Lakers were just OK without Magic," Thorn pointed out. "Magic is one of the 10 best players ever. I do think we would have been terrific." It was April 19, 1979, about 10 days after the end of the season. There were no draft TV shows then. The Bulls had plummeted after the heady 1976-77 season that had become known as the Miracle on Madison Street. In 13 of the last 15 home games in 1978-79, the Bulls failed to draw 10,000. So in trying to engage the fans, the Bulls promoted a contest for fans to vote whether the team should call heads or tails. "Bill Sharman and I were on the call with the league," Thorn recalled. "He was representing the Lakers at the time. The people in New York were asking us who wanted to call it. I immediately said we had this fan vote and, ‘Bill. if it's OK with you, let me call it.' Bill said fine. So I called it heads. It came out tails." Not quite like the stillness back then in the Bulls offices at 333 North Michigan Avenue. There wasn't much Bulls staff then. Brian McIntyre, who went on to work with Thorn in the league office, was there as was Bulls broadcaster Johnny Kerr. Perhaps Kerr was the bad luck. 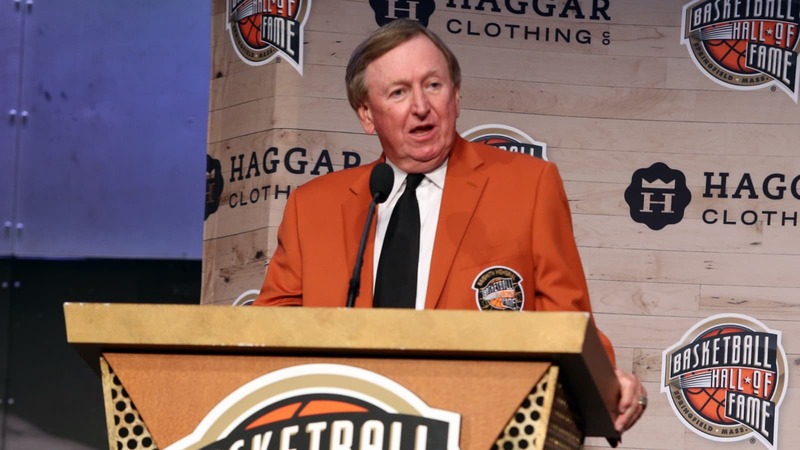 He was a witness in the previous most famous draft coin flip when the Suns Jerry Colangelo first came up with the idea of the fan vote. The Bulls should have learned. The Phoenix fans voted for heads; Colangelo called heads. It was tails. The Milwaukee Bucks in 1969 selected Abdul-Jabbar and had a title, their only one, by 1971. The Suns got Neal Walk. "Hey," Kerr brightened at the time, trying to cheer up Colangelo, "maybe they'll talk Neal Walk." There was only one Johnny Kerr. "Johnny was trying to make Rod feel better," recalled McIntyre. "But Rod's way south of morose. So Johnny says, 'The same thing happened to us in Phoenix. We polled the fans and they wanted to go one way. The fans won and we lost.' So Johnny says, ‘Rod, there's a moral to this story. That is if you listen to the fans too much you'll wind up sitting with them.'" The Bulls selected David Greenwood No. 2. The Knicks picked Bill Cartwright No. 3, but with Gilmore, the Bulls didn't need another center. Greenwood had a 12-year NBA career, six with the Bulls before being traded for George Gervin in 1985. Greenwood came off the bench for the Pistons 1990 champions. The Bulls would go on a nice run under Sloan, winning 45 games in 1980-81 and sweeping the Knicks in the playoffs before losing to the eventual champion Celtics. "We got Ricky Sobers (for point guard) and with Theus we had a nice team," said Thorn. "Ricky and Reggie were a heck of a backcourt and with Artis it looked like we were ready to go." But it wouldn't be much of anywhere with coaching changes, personnel problems with players using drugs and a collapse in the 1983-84 season. Bulls managing partner Jerry Reinsdorf likes to tell the story of his baseball owning colleague George Steinbrenner approaching him one day in 1984 about getting rid of this albatross of a franchise that was losing games and money and embarrassing the so called "Magnificent Seven" of owners of Steinbrenner, Lester Crown, Lamar Hunt, Jonathan Kovler, Arthur Wirtz, Walter Shorenstein and Phil Klutznick. They'd drafted Jordan, but they had top 10 draft picks for years and still embarrassment. So Reinsdorf cobbled together a group of investors to take the Bulls—perhaps some symmetry with the Chicago White Sox—and Jordan off their hands. Before the end of the 1984-85 season with the Reinsdorf group assuming control, Reinsdorf fired Thorn and replaced him with a baseball scout, Jerry Krause. Thorn went on to a prominent role with the NBA and then resurrecting the Nets to a pair of Finals appearances after trading for Jason Kidd. "I'm very humbled, very proud (to be going into the Hall of Fame)," Thorn acknowledged. "I feel great about it and particularly for me getting in the same time as Jason Kidd, who had a lot to do with me getting in. And Rick Welts, who I worked with in the NBA office and is a good friend. So I feel great about it." And the Bulls ending up doing OK, as well. "All's well," agreed Thorn, "that ends well."